A magnitude 7.1 earthquake struck central and southern Mexico on September 19, 2017, killing more than 200 people. 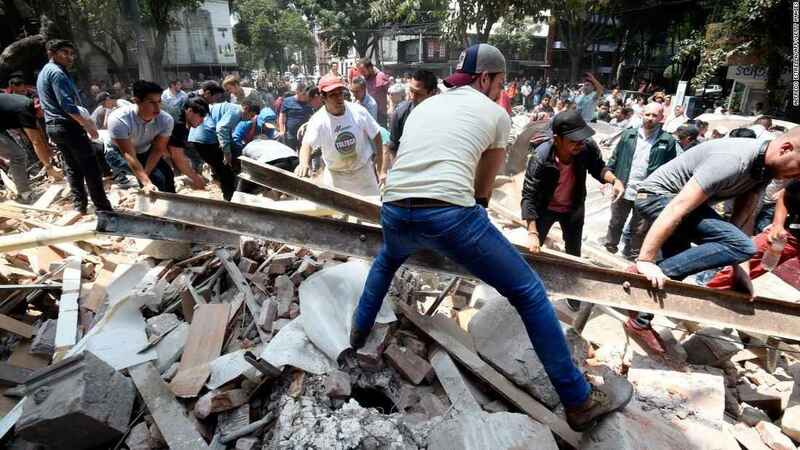 In Puebla, Morelos and Mexico City, close to the earthquake's epicenter, buildings have collapsed, and there are grave concerns about infrastructure damage, including collapsed bridges. While the Government of Mexico has an incredibly high capacity to respond to disasters, international assistance will be necessary to support a full recovery for all affected communities. In response to the needs that will arise following the earthquake, the CDP Mexico Earthquake Recovery Fund will focus on medium and long-term recovery needs. We expect the long-term needs to include: rebuilding homes, meeting the education and protection needs of young children; providing water, sanitation, and hygiene services; economic development; and supporting mental health needs. Specific locations and unmet needs will be determined by a grant committee that will be established to guide CDP's staff and board. The Fund will explore investing in all geographic areas affected by this earthquake. By giving now your gift will support recovery needs that will continue to surface throughout the earthquake-affected area of Mexico long after our attention has turned away from this disaster. My prayers go to all those affected.